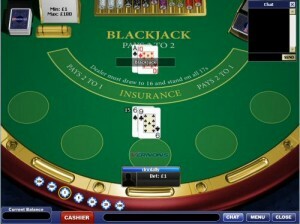 There are a wide range of varied blackjack strategies employed by blackjack players around the world. Some are better than others. The basic blackjack strategy we feel is best to use is listed below and will help you minimise the house edge. It is based on multiple decks being used, as is in online blackjack. However, this will not make you invincible and an overnight millionaire, you should still use caution before throwing more money at the tables than you can afford. 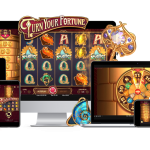 As we would advise with any casino game, if you amass some profits, then take a few moments to lock some in and withdraw them from your account. 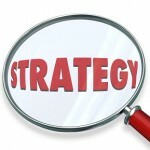 As a general guide, if you double your money, then keep 50% of the profits. It only takes a moment and will ensure a far more enjoyable playing time. This way you can lock in some of your blackjack profits. Before reading in detail below the basic blackjack strategy to use, casino beginners should be aware of the differences between a Hard and a Soft Hand. A Hard Hand is a hand which either does not hold an Ace or holds an Ace which cannot be used as an 11. A Soft Hand is where there is an Ace held that can be used either as a 1 or an 11. Beginners should read our Blackjack Rules page before continuing. If your hand is A – 9 Stand against everything. If your hand is 10 – 10 Stand against everything. Previous Three Card Poker – Wanna Learn How to Play? Next Can I play Casino Games for Free?